Are you looking to join the tennis team?! Do you think you can be a great addition to the team? Have you been trying to find out when the tryouts are and when the season starts? Well, look no further! The tennis tryouts start March 6th, which gives you plenty of time to prepare yourself to become part of something great. The tryouts require you to bring a new can of tennis balls, as well as your tennis equipment, which includes your tennis rackets, tennis clothes, tennis shoes, and a towel. Most importantly, the tryouts require you to bring a positive attitude as well as the confidence to do well. This confidence and positive attitude is very important for an athlete to have in order to do well and succeed on the court. At the tryouts, it is not necessary to win every match, but it does help. What really matters is a player’s attitude and his determination on the court to give it his all. Our coach, Tom Depelteau, is not only focused on a player who can help lead the team to another victory, but also a player who enjoys the game; one who can accept defeat as well as maintain sportsman-like conduct. During the tryouts, it is very crucial to be focused on one’s own performance, as well as be a good teammate. That is a key component to do well at the tryouts. During the three days that you have to showcase your talent, you will have to record your wins, losses, and ties. The players with the best records at the end of these three days will be told whether or not they have been selected to play for the school. So try to give it your all! 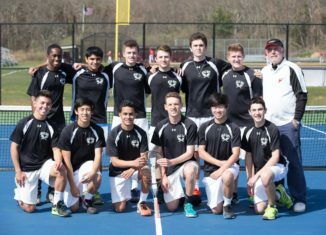 The High School East Tennis team has been a very successful team for the last decade. They have continued to show outstanding progress and determination on and off the court. In the past 10 years, they have recorded less than 20 losses and have won around 500 matches. 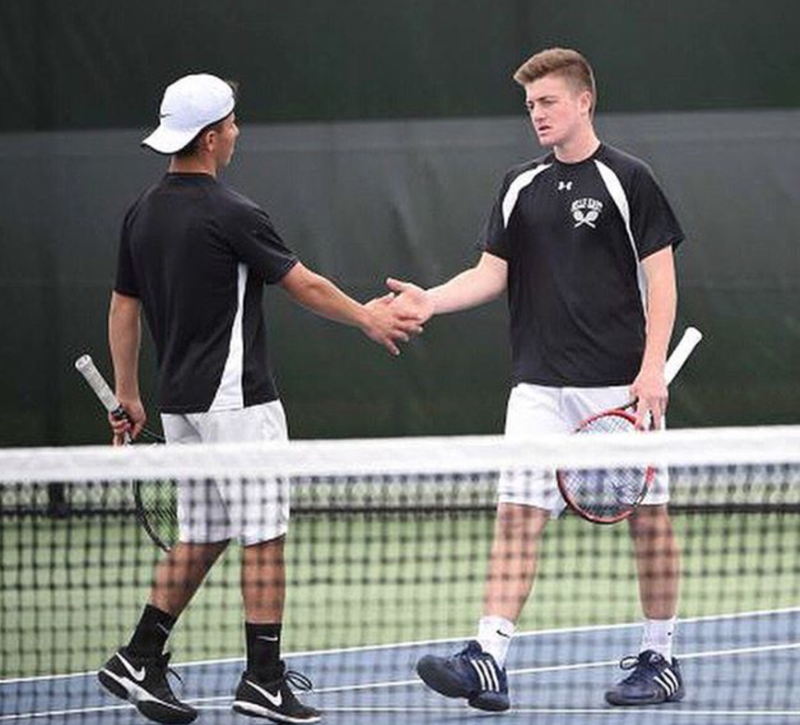 The tennis team is not just a place where us teammates go to play for our school and win, but it is also a bond we all share. Under the great supervision of our coach, we have succeeded together because we became a close family. The tennis team is one place where you will have a little stress and a lot of fun. The game is all about enjoying yourself and not taking letting the pressure get to you. 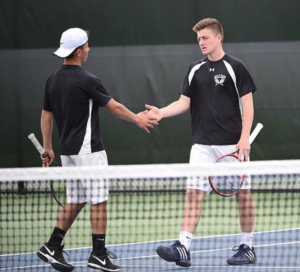 The Hills East Tennis team has proven to be among the most successful sports programs at HSE, winning counties almost every year as well as sending multiple players to the US Open to compete in the All-State tournament. The team plans on doing much better this year with the help of Coach Depelteau. Not only will the brand new courts help them do well, but the new strategies and techniques they learn will also help them lead the school to yet another victory. So get ready, train hard, and get your game on, because tryouts are right around the corner!